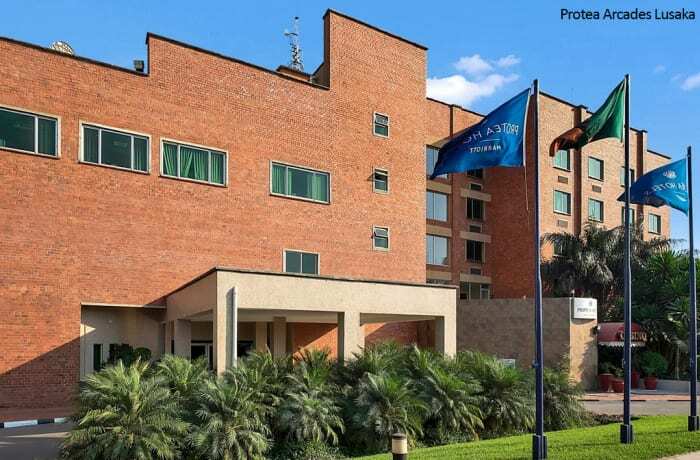 If you are traveling to Lusaka on business then this is an ideal hotel due to its international standards and location in the city center. 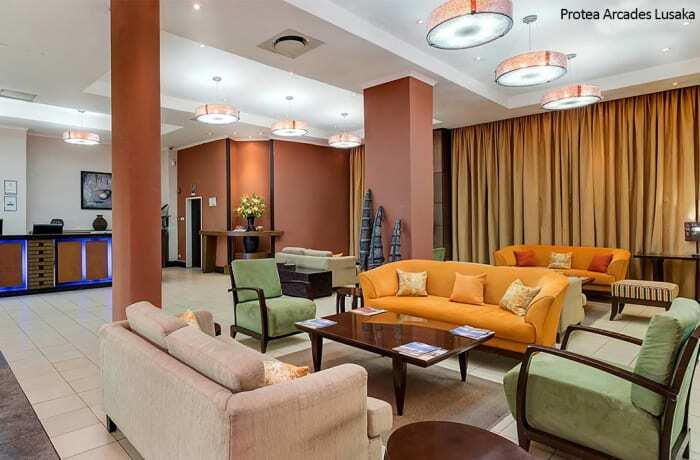 The Protea Hotel Cairo Road in Lusaka, Zambia, features a total of 75 modern, upmarket rooms. 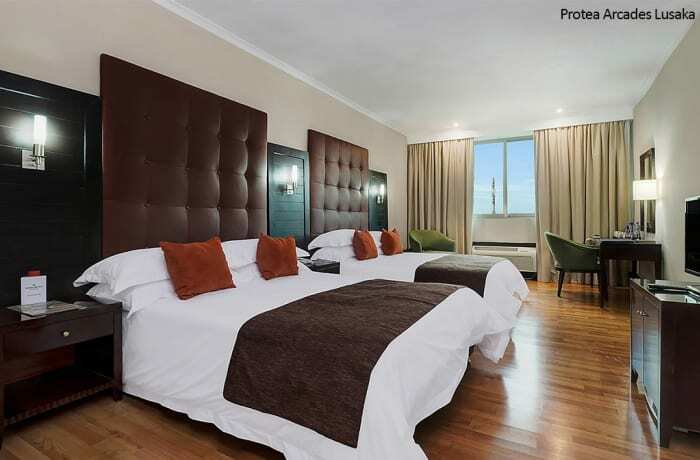 Guests have the choice of either a room with twin beds, a room with a king size bed or a single room with a single bed. 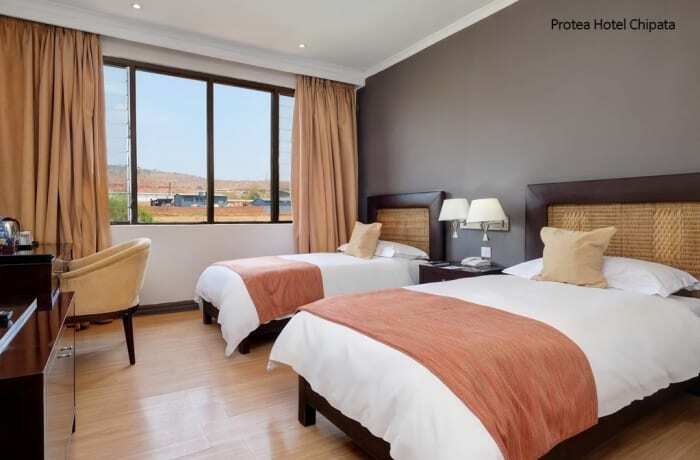 The hotel comprises of 60 rooms of different accommodation options. There are chalets, deluxe rooms and standard rooms available to choose from. 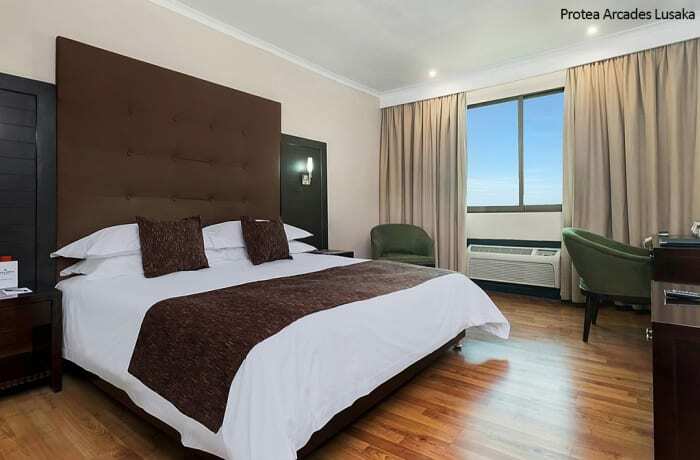 Guests may choose to stay in one of the 20 standard rooms each of which is equipped with either a king size bed or twin beds. 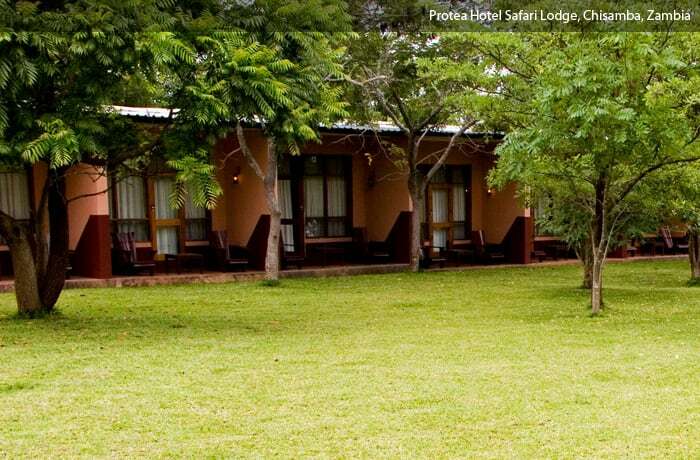 This hotel offers a lion enclosure as well as opportunities for bird watching, game drives, game walks, quad bike safaris and fishing. 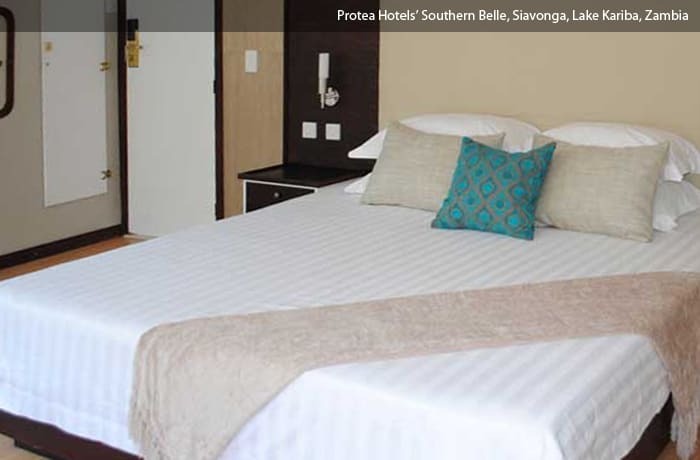 Protea Hotel Livingstone comprises of 6 buildings with 80 rooms. 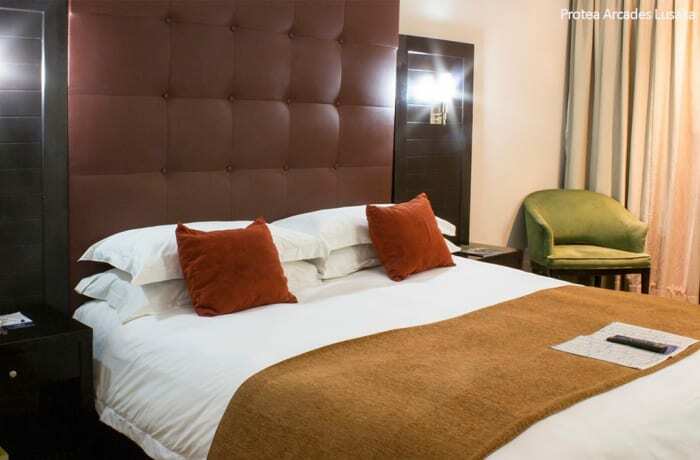 The hotel has 40 double bedded deluxe rooms consisting of one king size bed and extra length. This room can accommodate two persons. 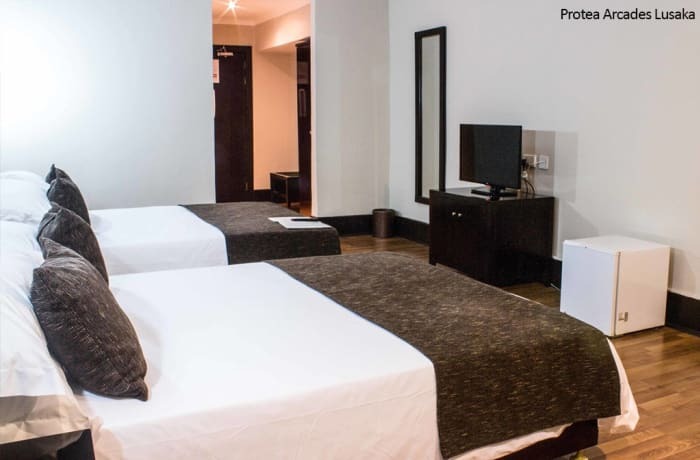 The hotel also has 40 twin bedded deluxe rooms that comprises of two queen size beds and extra length. This room can accommodate two adults and two children under 12. 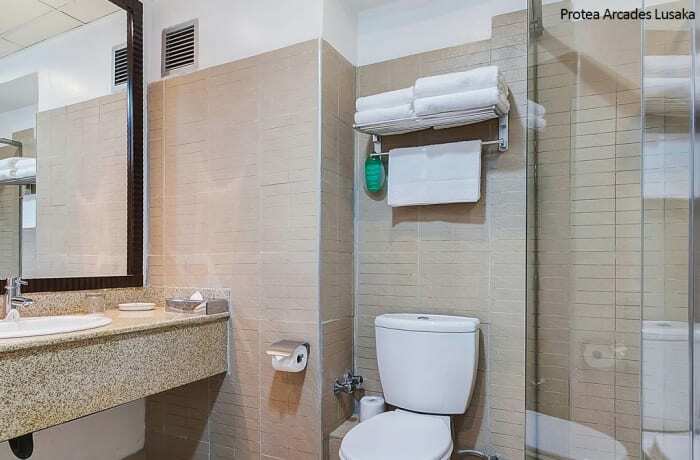 Ideal for the business traveller, this hotel provides 40 en-suite rooms. Chingola is best known for the Konkola Copper Mines, open to visiting. If you are a golfing enthusiast, it is said that Nchanga Golf course in Chingola is one of the most beautiful and well kept courses in Africa. A must if you are this far north is a visit to Chimfunshi Chimpanzee Sanctuary, the largest and most famous chimpanzee orphanage in the world. This hotel is located 5 minutes' drive from central Chipata, it is 15 km from the Malawi border and a two hour drive from Lilongwe. It is also a three hours drive away from the South Luangwa National Park. A rather grand lobby and rooms with hardwood floors, an outdoor pool with lounge chairs and a somewhat formal dining room can feel like quite a jolt after a long drive or stay in the bush. Tourist attractions in Chipata include the Kanjala Hill and the Central Mosque. When you visit this hotel, you will immediately be greeted by their inviting staff and given the stellar service that you deserve. Check-in and set your sights on adventure. 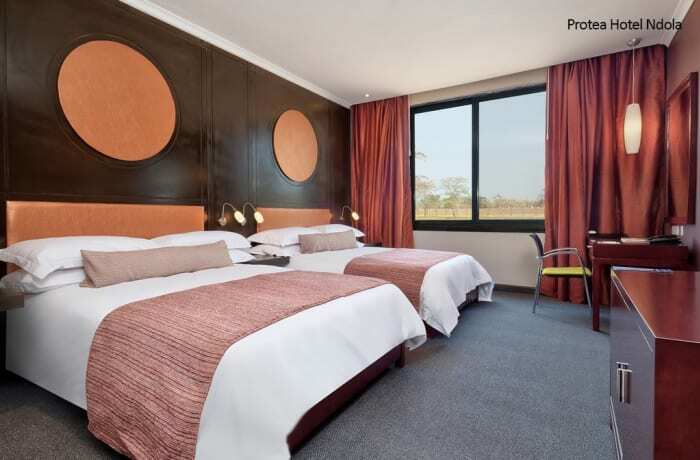 Located on the Kitwe/Ndola Dual Carriage Way, this hotel offers a paramount location in Zambia's industrial capital. Join the revelry at Levy Mwanawasa Stadium or play a round of golf with colleagues at Ndola Golf Club, one of the oldest courses in Zambia. 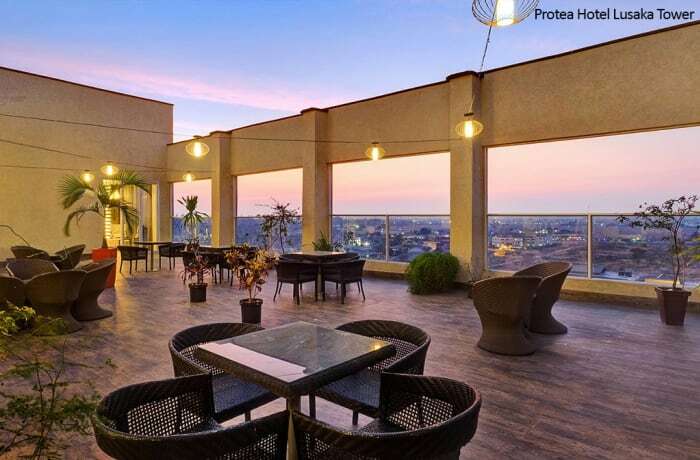 The restaurant is on the first floor of this Lusaka hotel and a bar that is open until 22:00. It serves a selection of buffet and à la carte options for breakfast, lunch and dinner. Guests can enjoy a daily breakfast buffet at the restaurant, where lunch and dinner are also served. This restaurant is modern, spacious, formal and stylish. The bar provides welcome cocktails and pre dinner drinks to hotel guests in a relaxing environment. Note that both restaurants and bars are also open to the public. Exciting new Cloud 9 ninth floor restaurant and bar. Situated on the ground floor of the hotel is the Mutaba Restaurant. This dining option for guests is open daily for breakfast, lunch and dinner as well as snacks during the later afternoon. 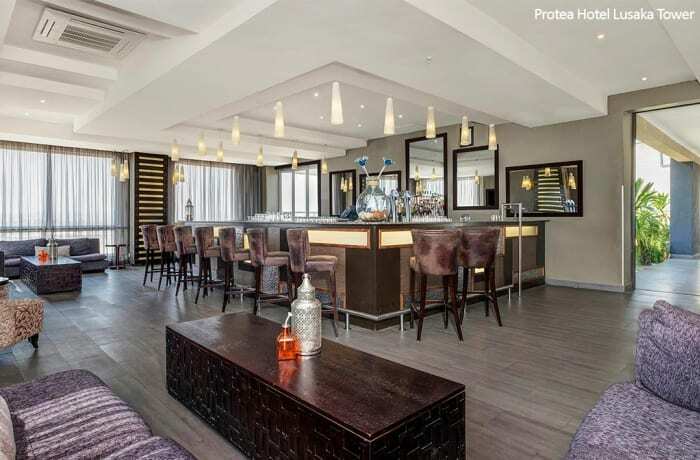 The hotel's bar is a great place for a social gathering and a couple of refreshing drinks with friends or family. 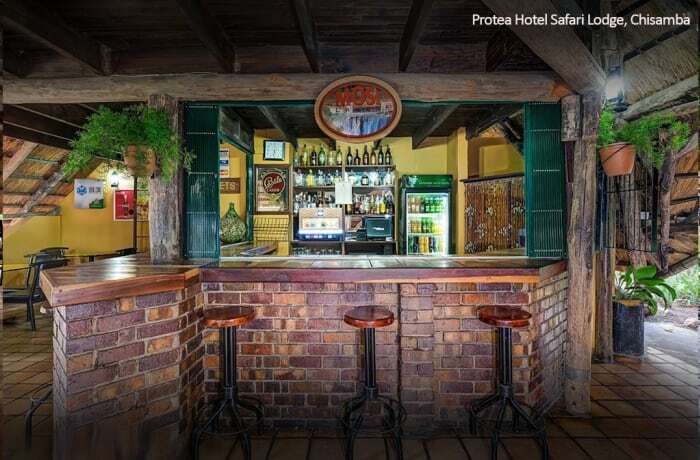 One of the flagship features of the Protea Hotel Safari Lodge is the delicious food. Guests are invited to dine at the Mutete Restaurant. The Mutete Restaurant offers an outdoor terrace which overlooks the lake and beautiful lodge surroundings. Guests may enjoy their meal while listening to the sights and sounds of the game reserve. The restaurant is situated on the ground floor in the main building. 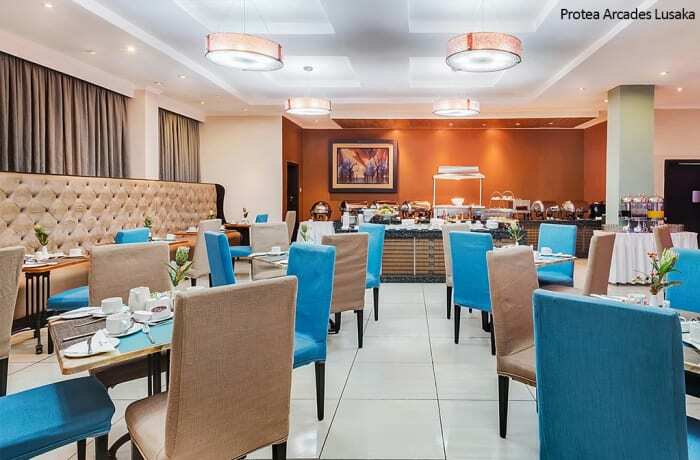 Breakfast, lunch and dinner is served daily at Protea Hotel Livingstone and snacks are available in the afternoon. 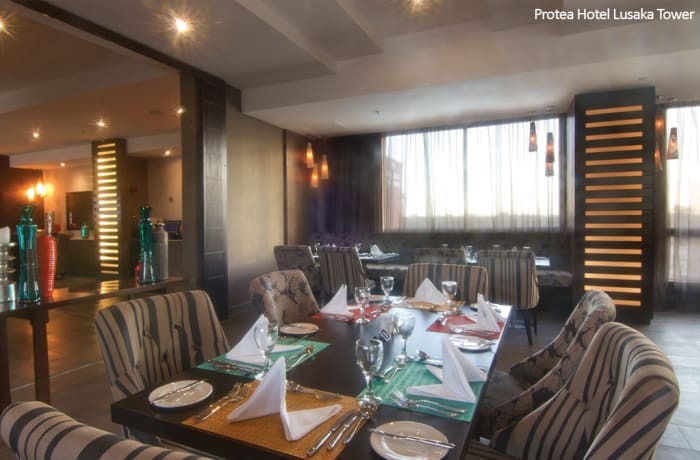 Enjoy a satisfying meal at a restaurant serving guests of Protea Hotel Chingola. Quench your thirst with your favorite drink at bar or in the lounge. Starters, combos, a comprehensive main course, a choice of pastas and pizza including gourmet pizza and a delightful choice of dessert for adults and kiddies. The Mulombe Restaurant is on the ground floor. The outside terrace area of the restaurant overlooks the spacious gardens and swimming pool, offering an ideal spot for al fresco dining. This Chipata hotel also serves meals in the relaxing Kumana Lounge. Guests can also enjoy the on-site sports bar. 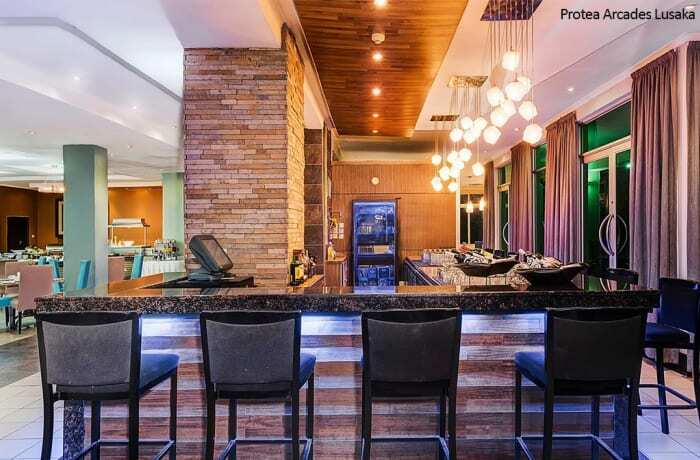 Sample a wide selection of mouth-watering cuisine at Protea Hotel Ndola during your stay in Zambia. Gather with your colleagues to enjoy a meal on their outdoor patio or take in the stunning, modern décor in the restaurant. Protea Hotel by Marriott’s crafted cocktails feature seasonal ingredients, thoughtful infusions and the best spirits available on the market. You can also enjoy a wide selection of beers, ciders, smooth Irish whiskey, gin, vodka, brandy, rum and more. 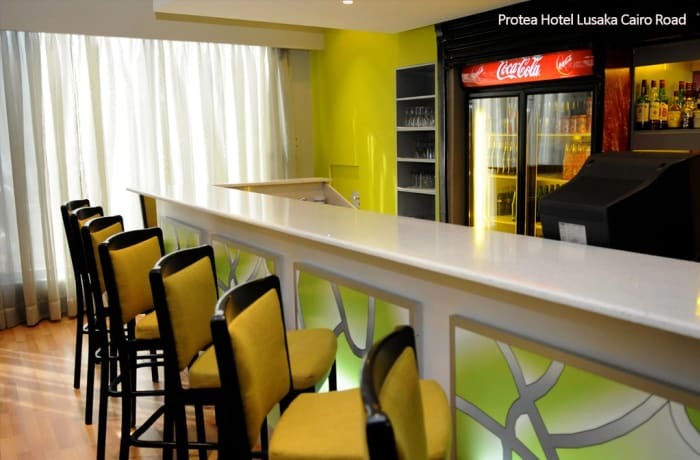 Protea Hotel by Marriott’s bars are always stocked, service is always friendly. The hotels take pride in an easy going environment where friends just like to get together for a few drinks. Their team are always on hand to make sure you get the most from your visit! 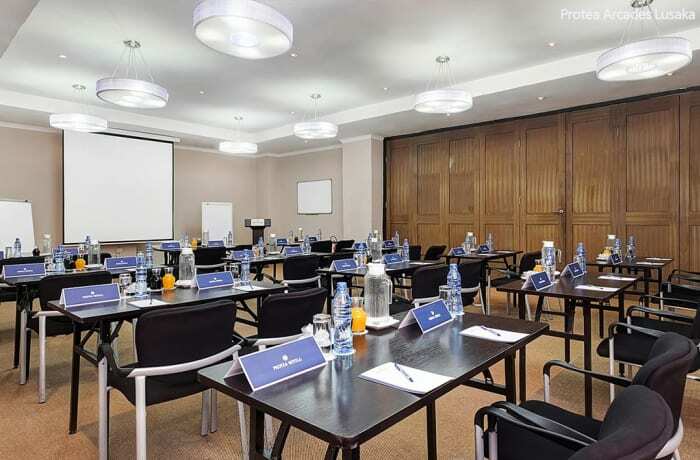 Protea Hotel Arcades has two conference rooms that can accommodate 20 to 60 delegates each. 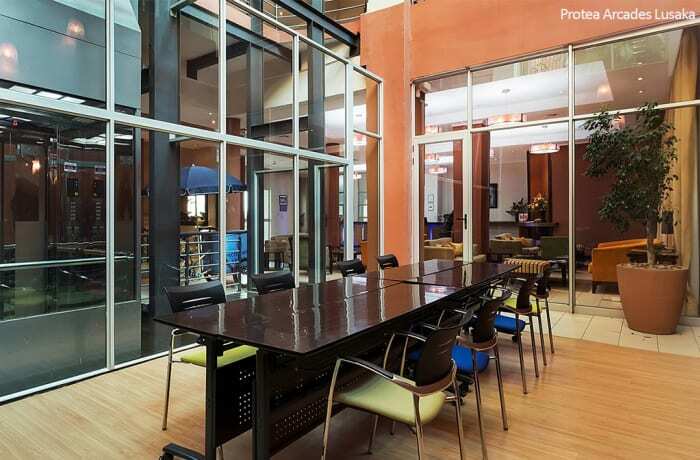 The two conference rooms can be joined up to create a larger conference room. Complimentary use of the conference rooms is an option when 10 or more rooms are booked. The conference rooms provide an ideal environment for conferences, seminars, workshops, corporate functions, cocktail parties, product launches or banquets. 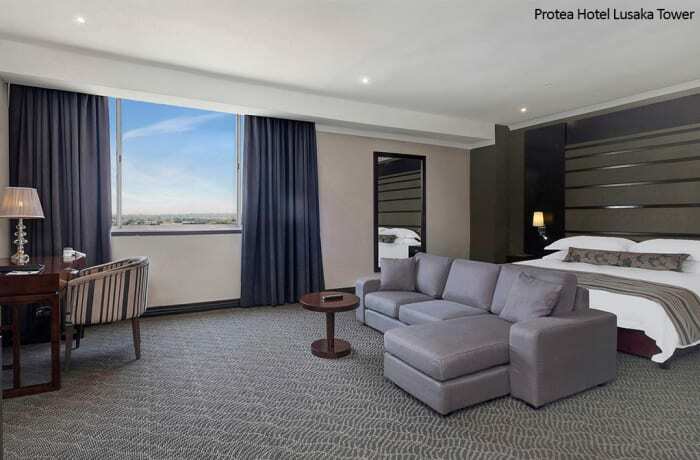 The hotel also offers guests and visitors two meeting rooms and three boardrooms rooms, to complement the conferencing facilities available at the neighbouring Protea Hotel Arcades, which can accommodate 80 delegates. 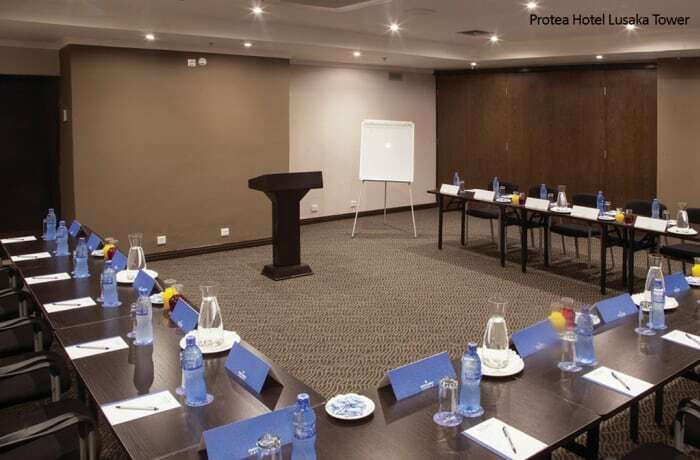 Protea Hotel Lusaka Cairo Road has two conference venues available. They provide an ideal environment for conferences, seminars, workshops, corporate functions, cocktail parties, product launches or banquets. The boardrooms can accommodate up to 20 delegates each while the conference venues can hold up to 80 delegates. The conference venue which can accommodate up to 120 business delegates, it is set close to the main lodge and nestles in the middle of nature providing for a wonderful setting. Guests have the unique opportunity to conduct their business while buck and buffalo roam around outside. 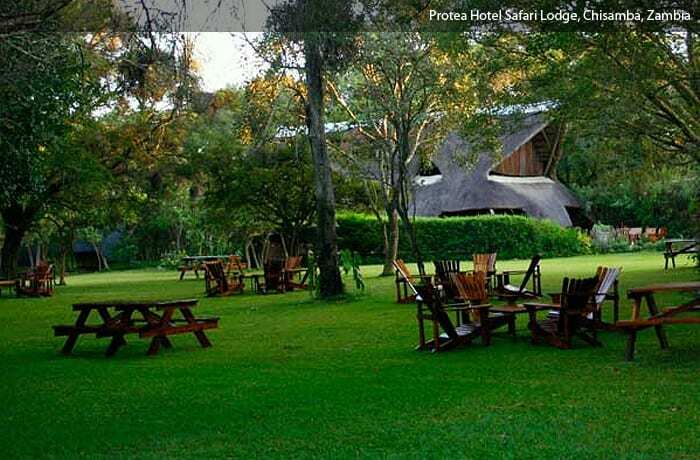 The tranquil surroundings of Protea Hotel Safari Lodge provide a superb environment for conference events. 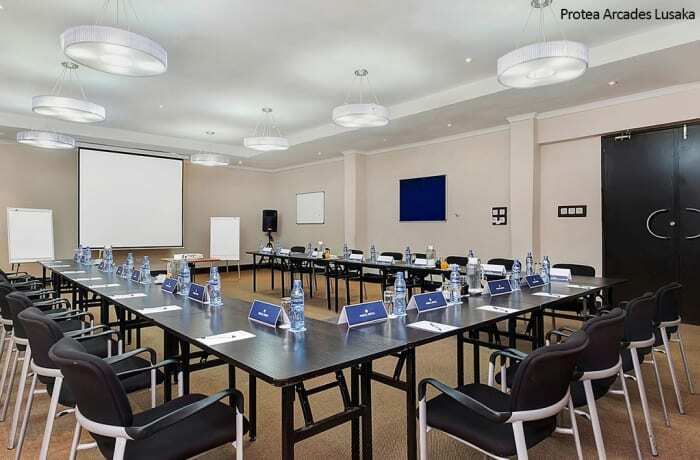 Protea Hotel Livingstone has two conference rooms that can accommodate up to 40 delegates each, these rooms can also be opened into one room to accommodate up to 80 delegates. These rooms provide an ideal environment for conferences, seminars, workshops, corporate functions, cocktail parties, product launches or banquets. Hire of conference rooms includes writing pads, pens, mints, cordials, water, white boards, soft boards, overhead projector, screen, markers, flip charts and paper. Additional equipment and services are available at a small extra cost. Conferencing and banqueting facilities for up to 120 delegates, with a beautiful garden ideal for weddings and private parties. 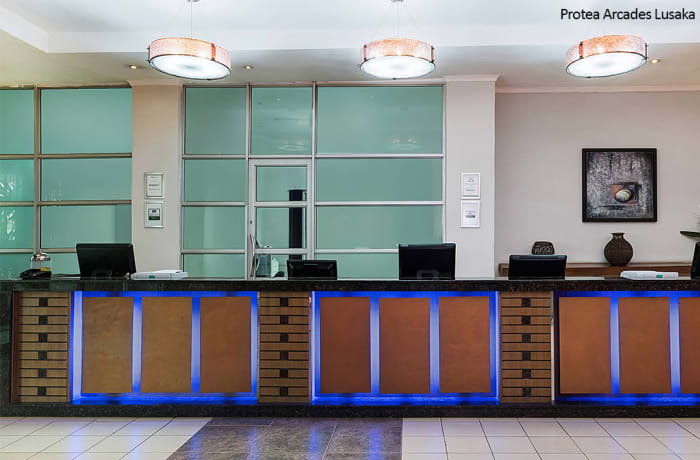 Protea Hotel Chingola business centre will help with all office and secretarial services, while travel arrangements can be organised at reception. This hotel features two conference venues. Luangwa One is the largest of the two conference venues and can host up to 60 delegates in a cinema setting. Luangwa Two is the smaller of the two conference venues at the hotel which can host up to 20 delegates. 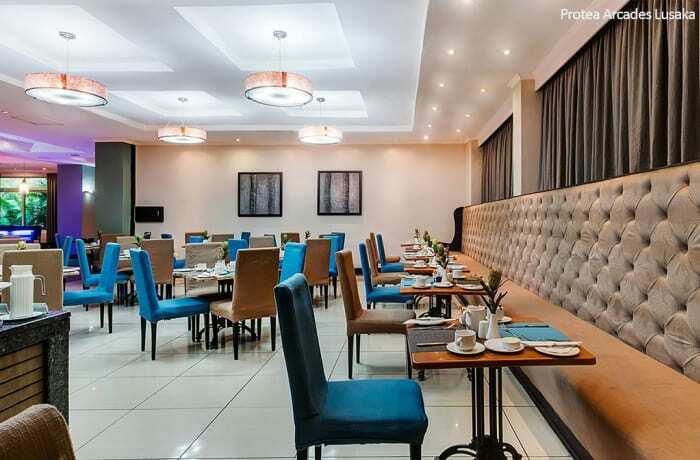 If business brings you to Ndola, this hotel offers two boardrooms and three trendy event spaces, perfect for hosting your next conference or training seminar. Their versatile conference spaces can accommodate up to 300 guests. Make your business presentation the star of the show when you utilise their AV equipment. After listening to insightful lectures, divide into breakout sessions in their intimate boardrooms. 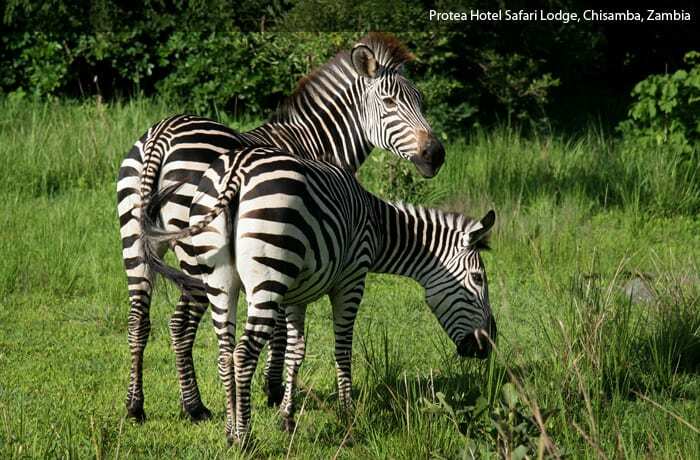 With an activity booking desk on site at Protea Hotel Livingstone, a Zambian safari is a great leisure option to consider. See Zambia's wildlife and birds in the Mosi Oa Tunya National Park on a game walk, drive, on elephant back, by steam train, from the air or by boat! In this national park you are likely to see giraffe, elephant, zebra, hippo, warthog, crocodile, all kinds of deer, lion and buffalo. 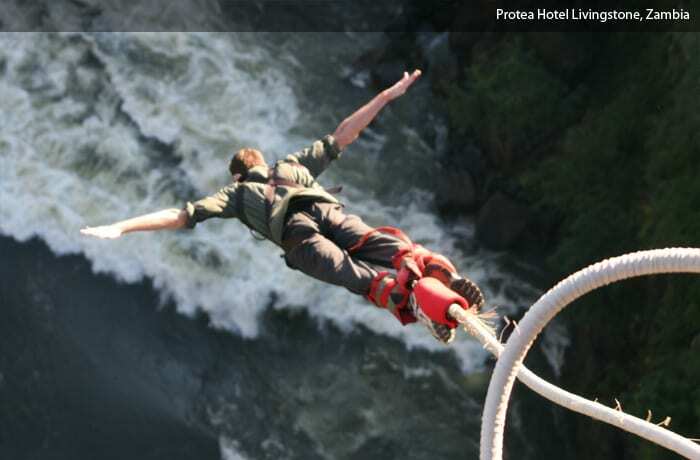 Since this hotel is on its own game reserve there are exciting safari opportunities available. 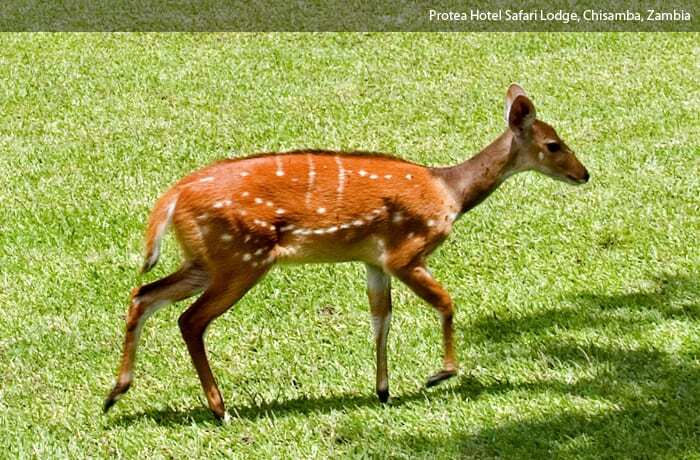 See wildlife on game walks, game drives and even by quad bike. The lion enclosure allows you to get as close as you dare with one of Africa's most respected wild animals. You'll be able to talk to the wildlife keepers and get a better understanding of Zambia's wildlife. Birdwatching is also a great safari activity at Protea Hotel Safari Lodge. 250 different bird species have been recorded on the reserve so take your binoculars with you! And if birding and safaris don't tickle your fancy then fishing just might be your thing. 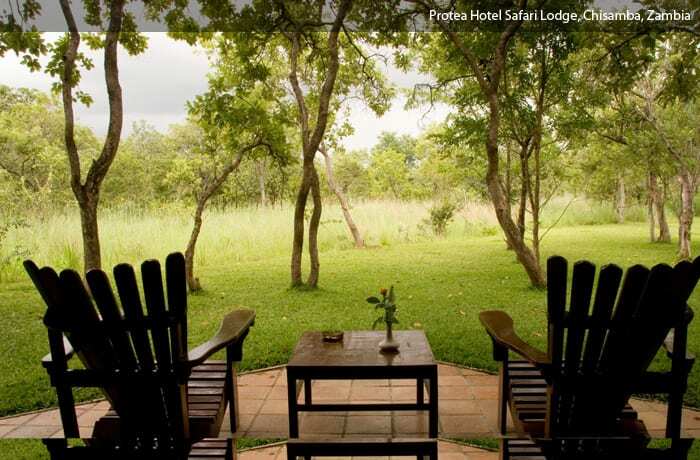 Located within its own private game reserve, staying here gives you the rare opportunity for game-viewing. Guests can also enjoy quad biking, bird watching, fishing and use of the swimming pool. The Southern Belle is a magnificent 55 meter vessel, boasting three decks, complete with 21 air conditioned en-suite cabins. 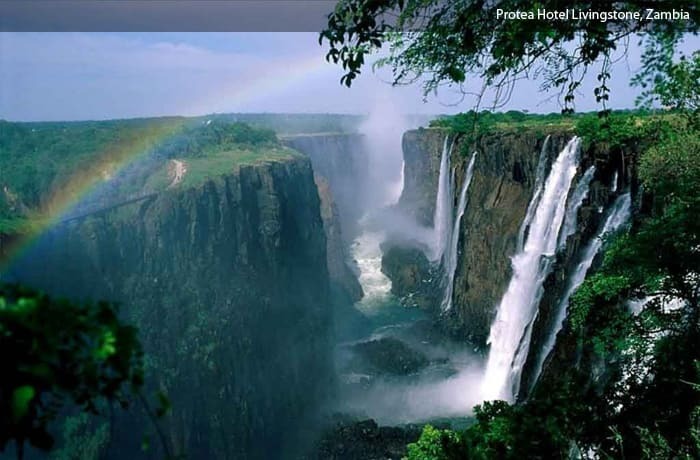 It anchors on Manchinchi Bay, Lake Kariba, about three hours drive from Lusaka. Keep in shape even when travelling or on holiday at any Protea Hotel by Marriott in Zambia. The hotel provides a wide selection of weight resistance and cardiovascular equipment. Professional staff are always present to serve your fitness needs. 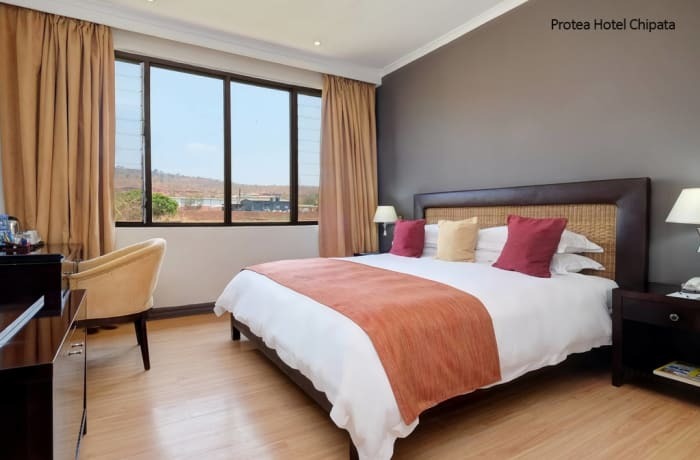 Protea Hotel by Marriott in Zambia wants you to get fit, stay healthy and feel amazing during your stay at their hotels. Their team understands how important keeping your regular fitness routine is so they are delighted to provide gym facilities.